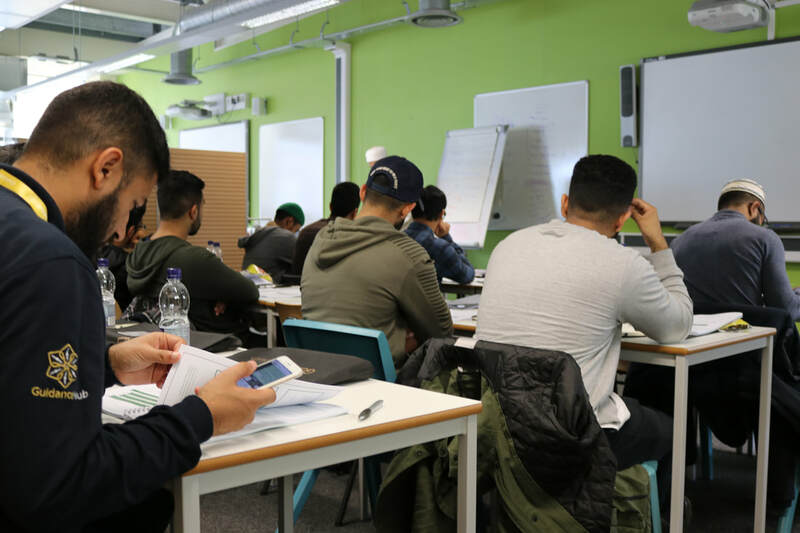 1) To equip the learner with the language skills needed to study classical Islamic texts and thereby gain access to the rich heritage of traditional Islamic scholarship. 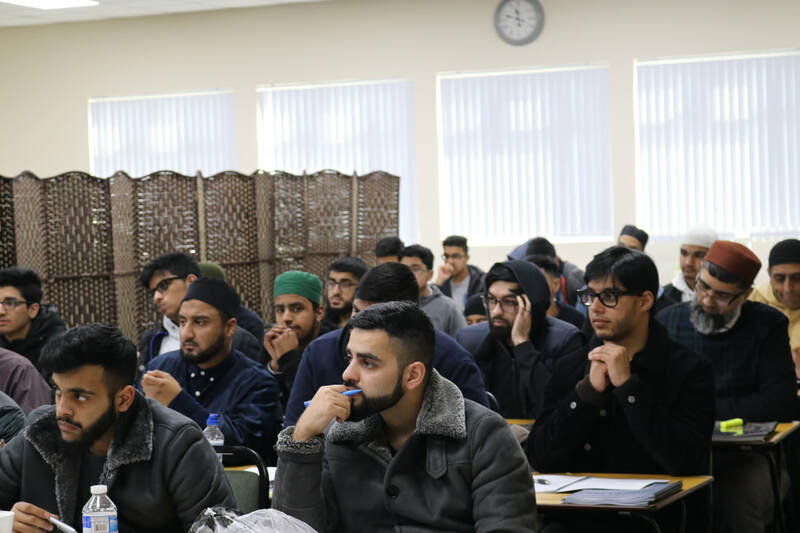 2) To equip Muslims who wish to study the classical Islamic sciences abroad or domestically with the language skills they need to accomplish this task. Qur'anic/Classical Arabic is the Arabic used in the Noble Qur'an; the Arabic of classical religious, intellectual and legal texts; and upon which Modern Standard Arabic is based. 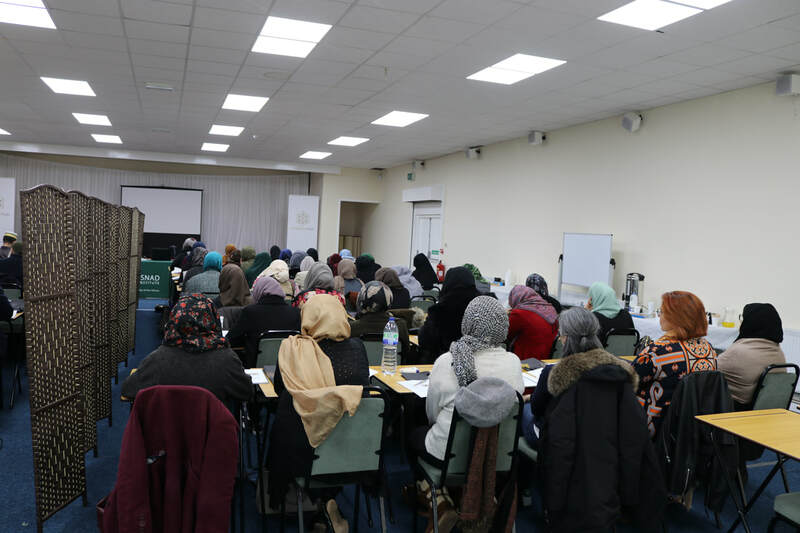 The focus will be on practical application of grammatical rules by directly reading and translating classical Arabic texts, including Qur’anic passages. Students will consequently be able to see the fruits of their efforts very quickly after embarking upon their studies. In the first year, 15 phrases/sentences from the Qur'an will be studied per unit accross 40 units. A minimum of 600 Qur'anic phrases will therefore be learnt by the student. Vocabulary lists are based on word frequency in the Qur’an and by the end of Year One the student will be exposed to approximately 50% of Qur’anic vocabulary. - The ability to read the Qur’an (without understanding its meanings). NB: Reading the Arabic script will not be taught as part of this programme. 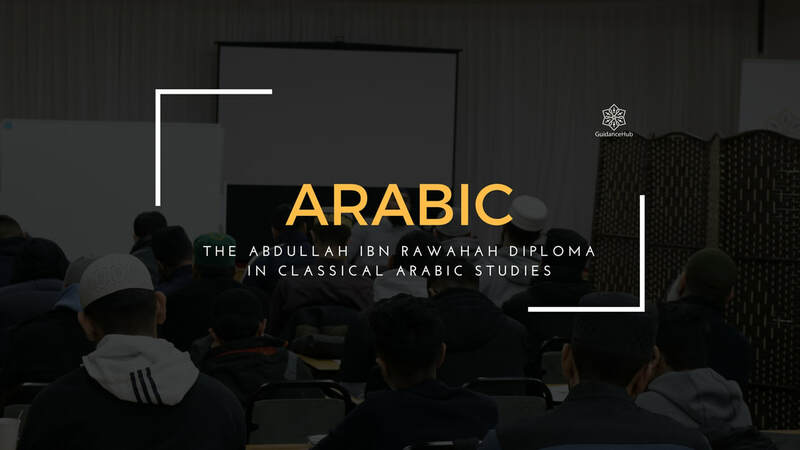 Upon completion of this diploma, students will receive the Abdullāh Ibn Rawāha Certificate in Classical Arabic Studies, which will be signed by the teachers. This textbook gives the student a solid foundational understanding of Arabic Grammar. One of its special features is that all the words, phrases, and sentence structures used in the textbook are from taken from the Qur’an. The textbook thus has the additional benefit of exposing students to the language of the Qur’an from the very beginning of their Arabic studies. The textbook is also based on the principle of word frequency in the Qur’an. It uses three vocabulary lists – with words occurring over 100 times, between 50 and 100 times and between 25 and 49 times in the Qur’an. This approach has two benefits. 1) Students will not be burdened with a very large vocabulary from the outset, and with non-Qur’anic vocabulary. 2) By mastering the select vocabulary, they will be able to understand a substantial amount of Quran'ic vocabulary in application. This collection of 42 Prophetic Sayings was compiled by one of Islam’s most renowned masters of hadith, the saintly Syrian scholar, Imam Yahya Ibn Sharaf Al-Nawawi. Al-Arba’een Al-Nawawiya is one of the first books of hadith a student of sacred knowledge traditionally studied in the past, and was frequently memorised by children after they completed the memorisation of the Qur’an. Its popularity lies in the fact that its collection of prophetic sayings were carefully selected to encapsulate the most fundamental precepts of the Islamic faith. This concise text, popularly known by its short name Al-Ajurrumiyya, was compiled by the Moroccan scholar, Ibn Ajurrum (d. 723AH). It is one of the most celebrated primers of classical Arabic grammar and gives students a firm grasp of the most important grammatical principles and rules in the Arabic language. This scucint text, popularly known by its short name, Matn Al-Izzi, was compiled by the Persian scholar, Izz Al-Din Al-Zanjani (d. 655AH). It is one of the most illustrious primers of classical Arabic morphology and gives students a firm grasp of the most important morphological principles and rules in the Arabic language. Al-Alfiyya by Ibn Aqeel. It is for this reason that the author chose to name the work Mutamimma Al-Ajurumiyya which means “The Supplement to Al-Ajurrumiyya”. This book represents one of the most distinguished works of Arabic morphology in the modern era. It was compiled by the Azhari scholar, Ahmad Al-Hamlawi (d. 1928 AD). The work builds upon foundational works such as Matn Al-Izzi by offering students a succinct yet detailed study of Arabic morphology, covering all the major topics in this science. 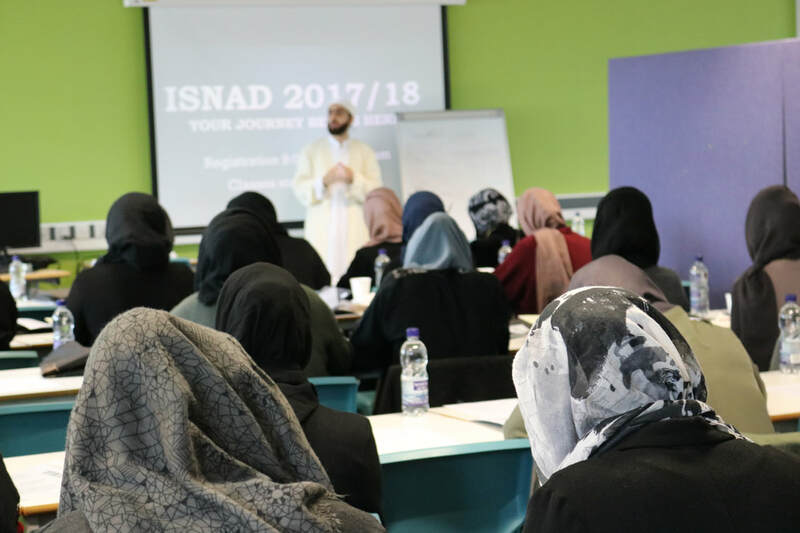 Shaykh Waseem is the chairperson for ISNAD Institute and Director of the community initiative, Guidance Hub in Manchester, UK. He spent several years in Damascus, Syria, studying the Islamic sciences with scholars in public and private classes as well as graduating from Al-Dawli Institute in 2012. 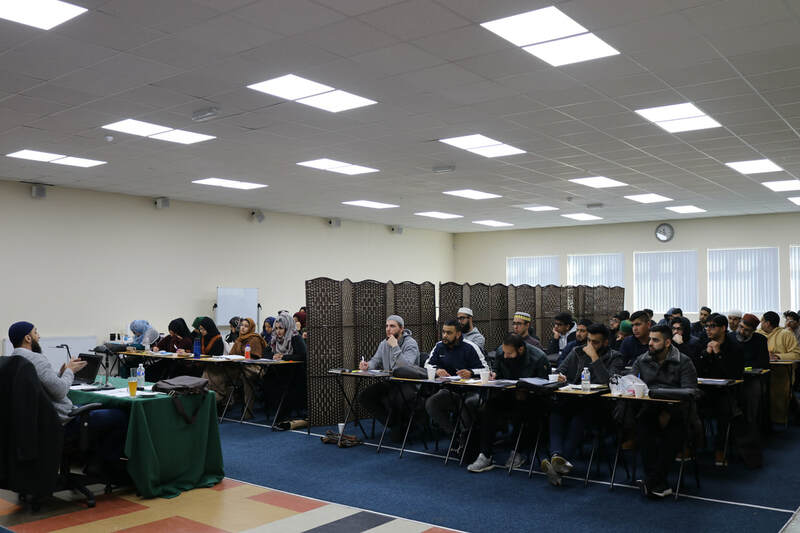 Upon his return to the UK in late 2012, Shaykh Waseem began disseminating sacred knowledge and founded a number of projects which focused on outreach work for the community.